If you are planning to visit Kasol, McLeodganj or any other place, here I am giving you all the reasons to change the plan and explore something new. Palampur is a small green hill station in Kangra Valley and is beautiful as anything It is surrounded by tea gardens and pine forests that merge with Dhauladhar ranges. One of the main reason I loved it because of the resort we stayed in. It is a small village in itself with waterfalls, river, trees. I will write about it in details further. By road: We went by our own car and it took us about 10 hours to reach there. The roads till Palampur are smooth so we had no difficulties. It is 486 km from Delhi. There are numerous buses too that you can find of HRTC. By Train: Palampur has its own Railway Station, Palampur Railway Station which is connected to the major cities of Himachal Pradesh. It is linked with the cities like Pathankot, Kangra, and Palampur. By Air: The nearest Domestic Airport is Dharamsala Kangra Airport, Gaggal, roughly one hour drive from Palampur. 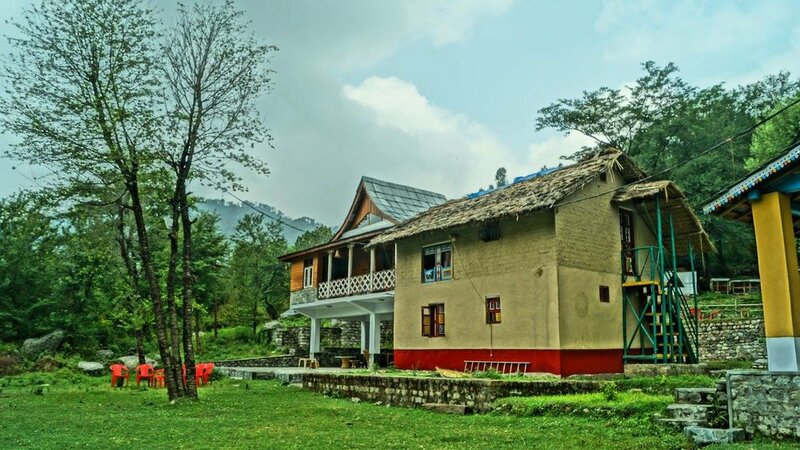 Palampur has beautiful villas if you would like experience one of the luxury vacations. You can get them booked in advance. One of them that we checked was Noor villa. We couldn’t get any room here as it was booked. But we loved it and hope to stay there on our next visit. You can search for other properties, just get them booked in advance. This is the place where we stayed. It is in village Thalla, near Power Project. It has four houses with UNA, Kangra, Barot and Khaniara style. We stayed in Kangra Hut. And it was a beautiful hut with three rooms. Two on the ground floor, and one on the first floor. Chamunda Devi temple: Temple is dedicated to Goddess Durga. The walls of the temple are decorated and painted with scenes from the Mahabharata and Ramayana. 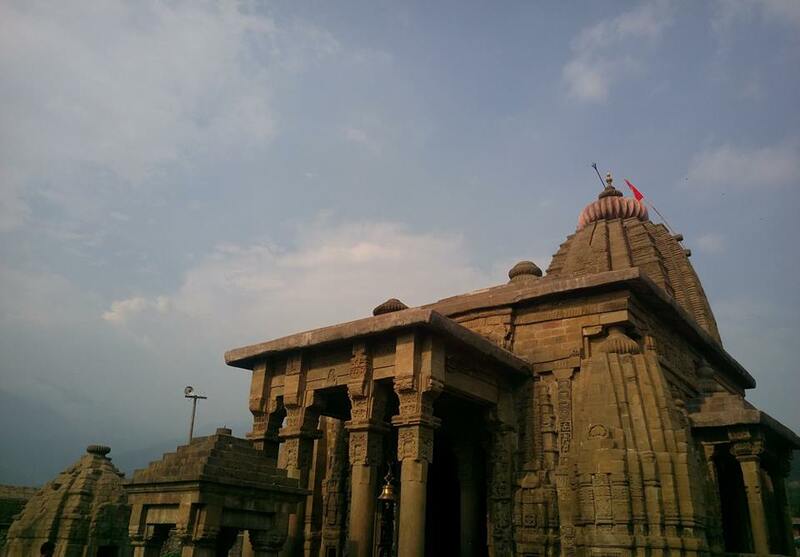 Baijnath Temple: It is dedicated to Lord Shiva and was founded by local merchants named Manyuka and Ahuka in 1204 A.D. The structure of this temple reveals about Nagara style of temples. Tea Gardens: It is widely referred as ‘Tea Capital of Northwest India’. Tea of this area is very famous and is available in the market with different names like Bageshwari, Darbari, and Bahar. Kangra Fort: Also known as the “Nagar Kot”. It is presently preserved by the Archaeological department. Uttrala: It is a small village with a beautiful drive that you will fall in love with just the trek! If you like this post and want to read more of our travel stories, do leave a comment, subscribe to our blog post or drop us an email.